Mid-Week Mini: Le Typograhe Porte-Mine Mechanical Pencil. One of my recent purchases after a trip to Amsterdam was the Le Typographe Porte-Mine mechanical pencil. I found this in Misc-Store and after spending a long time examining everything in the shop, I decided I needed to buy this pencil. I really liked the style but it was after testing the graphite out I had to buy it. Before I dig into the pencil I just wanted to share the kraft packaging. The pencil is protected by a concertina folded piece of card that holds it in place. What I really like is the embossed guide on the back which shows you all the elements of the pencil. There is no unnecessary text or information here, just a simple and beautiful design. The style of the Porte-Mine is beautiful. It has a cream coloured metal barrel which is comparable to the size and feel of a woodcase pencil. There is a cute golden bug imprinted near the top of the pencil too which is the only indication of any branding. To use the Porte-Mine you press down the knock of the pencil to allow the graphite to escape from the barrel. You can decide how much of the graphite you want to appear, the only thing to bear in mind if that you don’t let the graphite fall out of the barrel and shatter. The knock also unscrews from the top of the pencil to reveal a small sharpener. This is really useful having this incorporated into the pencil itself. 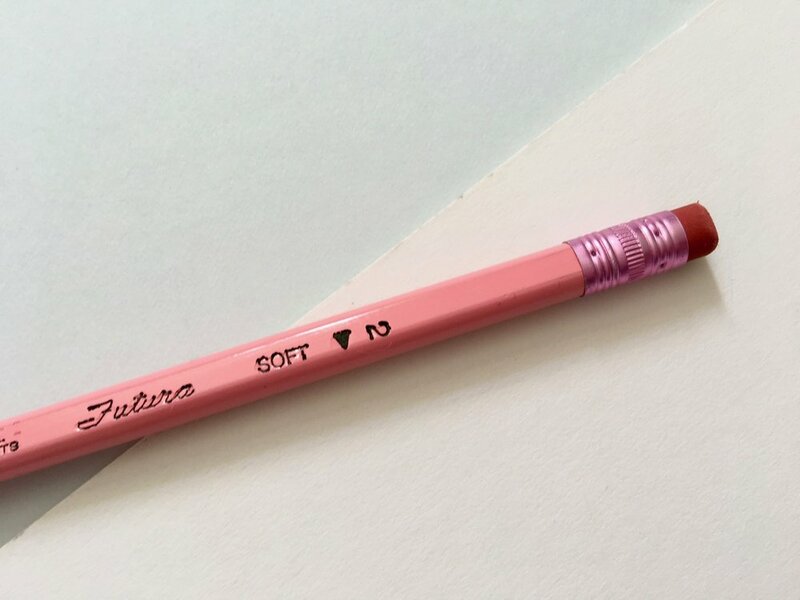 It means you don’t have to find a sharpener that works with this mechanical pencil, or worry about carrying it around. Everything is in one place. Writing with the graphite is very nice. It’s not too dark, but rather a light grey colour. My plan is to use this pencil for sketching. I can extend more of the graphite if I need to shade a sketch, or use the nice point that the sharpener creates for the detail work. It was a nice surprise the find the Porte-Mine in Misc. I would not have come across this online and it was through testing the pencil out that really sold me on it. I love visiting brick and mortar stores, especially those that encourage touching and testing. They really do open things you to you and show you new and exciting tools you could be using. Baron Fig Elements Limited Edition Archer Pencils. Baron Fig sent me a pack of their latest limited edition Archer pencils called Elements. All thoughts on these pencils detailed out here are my own. The Elements pencil is the latest limited edition Archer series and the first to come since the School Set, so its been a little while. It’s a collaboration with the Queen of pencils, Caroline Weaver. The theme of this edition is about all the elements it takes to create a pencil, from the wood, the graphite to the lacquer and to celebrate what they make when combined. The collaboration is worth discussing first off. Caroline Weaver featured in the Baron Fig bags Kickstarter campaign last year. CW Pencils, her pencil shop is also in New York where Baron Fig are based and she is an authority on pencils. 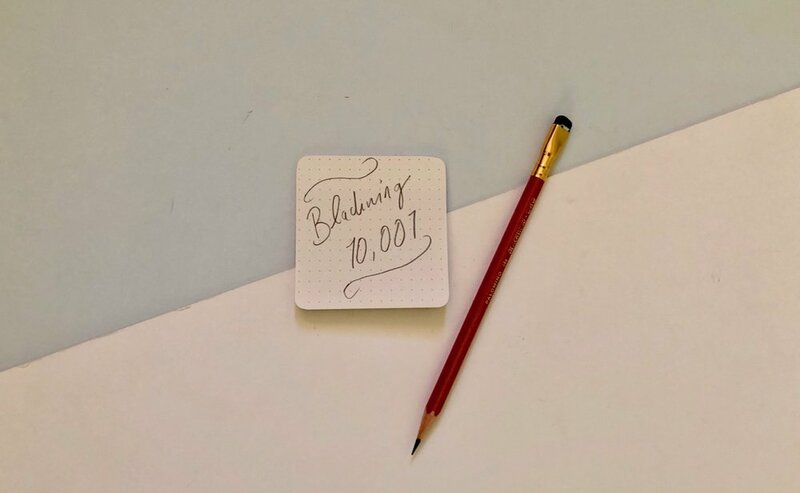 So this collaboration makes sense and its another exciting collaboration from Baron Fig. The Elements pencil design is very classic and classy. The subdued grey and cream palette is simple and elegant and almost timeless in a sense there is no nod to fashion or trends that exist right now. 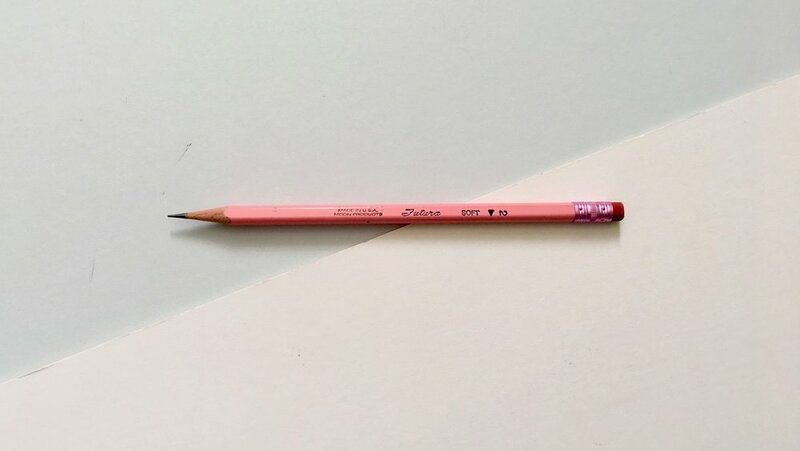 On the grey half of the pencil there are a series of small icons etched on one side, each one representing a different element within the pencil. These icons seem typical to me of Baron Figs style. It’s a small snippet of information that requires some exploration but for those who don’t dig a little deeper they’re simply a nice design addition. As with other Archer pencils the Elements write really well. The pencils hold a point nicely and sharpens really well giving off that nostalgic pencil smell. The graphite is really nice and has become one of my preferred pencils to use, it’s not too dark, it doesn’t smudge easily and is really smooth to write with. As with all the other Archer pencils you’re buying a pack of 12 rather than individual pencils and the packaging to hold these pencils comes in the familiar tube design. The design mirrors the pencil style and again has that high quality appearance. There is a structural line drawing of the pencil which looks really cool and gives some guidance to which icon is associated with each element. I have really enjoyed these pencils and have used them a lot since I received them. It’s nice to see another limited edition Archer set and fab that it comes as a collaboration. I think Baron Fig have always chosen their collaborators well and it makes their limited editions a little more interesting and special. Thank you again to Baron Fig for sending me the Elements pencils to review.